Gilas did so well in the first window after a 4-2 campaign which gave them a ticket to the second round. The team was one step closer to a stint at the 2019 World Cup. However, the suspension was a huge blow to the Philippines’ chances to reach the big stage. With nine players and a head coach suspended, the Samahang Basketbol ng Pilipinas decided to bring in a new coach in Yeng Guiao. In just one move, the heads of Philippine basketball threw away the success that they built around Coach Chot Reyes and his fabled dribble-drive offense. With Guiao on board, there would be no trace of continuity in Team Pilipinas. 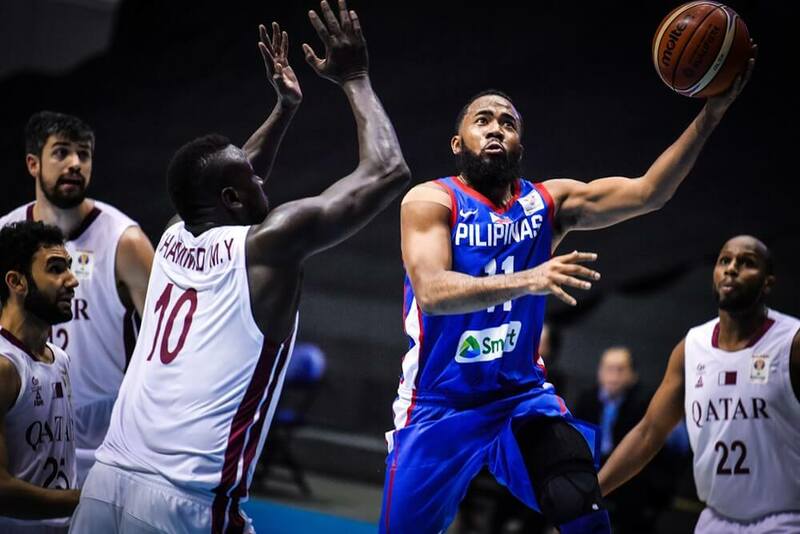 It would be a new page, a blank sheet, a 180-degree turnaround from the previous triumph of Gilas. Guiao’s approach to basketball is truly fascinating. In a league where rigid offensive systems are common to elite teams, Guiao was freewheeling his way to dominating the game. His offense is primarily hinged on two things: ball movement and shot selection. It doesn’t matter to him what the shot clock is or who the player with the ball is. As long as the shot is open and within reasonable range, he’s more than willing to give the green light to anyone, anytime. Even with the success of his free-flowing offensive sets, the greatness of his coaching goes beyond the boundaries of the X’s and O’s. What separates him from the rest of the league is the way he utilizes his players. Coaches, even the elites like Tim Cone and Chot Reyes, tend to excel at using short rotations and honing players into a specific mold. Cone has do-it-all players like Johnny Abarrientos, Joe Devance, Mark Barroca and Scottie Thompson to lead his team. Reyes had Jimmy Alapag and Jayson Castro to run his offensive sets. That sort of convention doesn’t apply to Yeng Guiao. His fluid offensive scheme has allowed him to dig deep into his rotation and find roles for every basketball player who is willing to attack, defend, and buy into his philosophy. His rotation is a revolving door of warm bodies. A player might be a starter in one game, and a bench warmer in the next. It’s a continuous guessing game with him running a team. For a casual spectator, it might seem like he shuffles players as if he’s playing darts in the dark. Except he’s not. He manipulates the game as if he’s a chess grandmaster. He plays based on his opponent’s abilities, and responds to whatever move is thrown at him. It won’t be surprising if he has the next three, five, even eight moves already mapped out in his mind. Guiao’s tactics have also allowed players to shine, even if they aren’t necessarily considered as the best in the game. In any other team, a relative unknown like Jonathan Uyloan won’t find a role in the rotation. Beau Belga, who at one glance will make anyone think that he’s not in shape to run up and down the court for even five minutes, won’t be a star player for his team. But with Guiao, it’s possible even if it doesn’t make any sense. There’s no doubt that he’s the perfect coach for Team Pilipinas, especially at a moment like this. Time and time again, he has proven that he can succeed even without the biggest names in Philippine basketball. If he can do it in the PBA, then he can turn a team of second options and rubbles from Gilas’ ruins into something special. 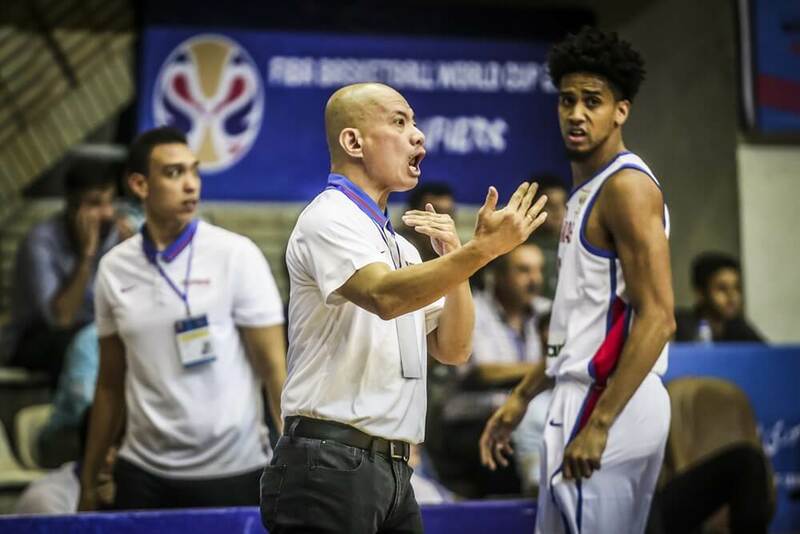 The fourth window of the FIBA Asian Qualifiers was Guiao’s biggest responsibility on his career thus far. The national team’s fate would rest in his hands. It would be understandable if he would play safe with his rotation. Even with little time to prepare, he spared no time to instill his philosophy to Team Pilipinas. In his very first game back in the country with the national team, he announced his return by excluding Christian Standhardinger from the starting lineup against Iran. Standhardinger was a battle-tested veteran in international basketball. He was PBA’s reigning number one overall pick. He was the country’s naturalized player, and arguably the best big man available for the team. And there he was, sitting on the bench at the tipoff. He had to watch from the sidelines for two minutes as young big man Poy Erram and 45-year-old Asi Taulava got the nod to play in the starting five. Common sense would dictate that all the best players available should start the game. That idea didn’t apply to Guiao. It turned out he was right. As soon as he was unleashed, Standhardinger wreaked havoc to Iran’s defense. He finished with 30 points and 12 rebounds to keep the Philippines afloat on a bad shooting night. Letting Standhardinger play off the bench was just the first move. The game against Iran had Guiao’s handprints all over Team Pilipinas. All 12 players in the lineup saw action on the court. As a result, 55 of the team’s 73 points came from the bench. Despite all the misses the team has incurred, especially from the three-point area, most of the shots that Philippines took came within the flow of the offense. 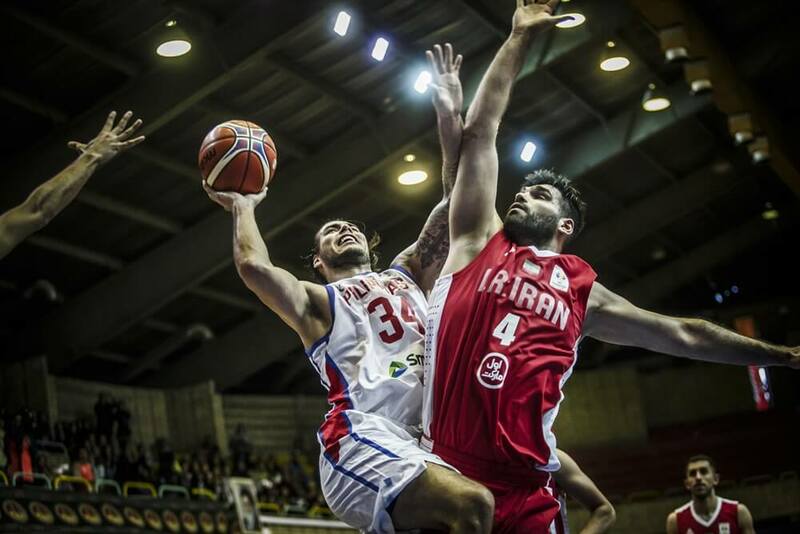 Philippines lost against Iran, but the team had shown signs of promise. Even with all the madness that he did in the past, Guiao should follow logic at some point. It’s not hard to imagine that the loss against Iran might have knocked some sense into him. After Standhardinger’s breakout game, it would be safe to assume that he would retract his original plan to replace him with Pringle against Qatar. In what could be considered as a bold yet classic move, Guiao fielded Pringle as the team’s naturalized player in the second game. The plan immediately backfired as Team Pilipinas had no legitimate scoring options while Qatar bombarded them with triples. The shooting woes continued, as everyone fired blanks from deep. One half in, and it was almost certain that Pringle, or anyone for that matter, won’t score anywhere near what Standhardinger did in the previous game. It was also disturbing that despite the urgent need for defense, Guiao used Norwood sparingly throughout the first half. He basically let his opponents shoot effortlessly without giving them the challenge of being harassed by the team’s best defender. Guiao proved that he’s a mad man. He gambled left and right in a game that he was losing. He was twenty basketball minutes away from being winless in the fourth window. He was a mad man, but always with a plan. As soon as the second half started, Team Pilipinas became more aggressive on both ends of the floor. Every player had the opportunity to score. Pringle scored off penetrations. Aguilar drained mid-range jumpers. Points poured from almost everyone who played on the court. They also clamped Qatar on the defensive end, limiting them to only 12 points in the third. In just one quarter, Guiao and his team turned the tide around in their favor. The national team snagged its first win of the second round. In the end, it felt so right. The game against Qatar showed what type of coach Yeng Guiao was. He never needed a single person to save his team from failure. He always showed enormous trust in his team. Even in the PBA, you could see Guiao holding back his timeouts even when his opponents were making a run. Even with a win at stake, Guiao trusted his players. Maybe that’s why they delivered. There will certainly be more awkward, surprising moments ahead. Some key players will be benched, some will play more than what’s expected. There might be times when Guiao will look as if he’s pushing all the wrong buttons during games. It will be part of a long, possibly painful process of transitioning from a once proud Gilas team to something new. If there’s one thing that Guiao is great at, it’s pushing all the supposedly wrong buttons to produce the right results. With how he ran Team Pilipinas in the fourth window, he has shown all the reasons why his country should put all its faith in him. In the end, all will feel so right.